“There is no better place to contemplate the creation of beauty than in your own back yard; a spider web, a blade of grass or a robin’s nest half way up your shade tree. In the springtime the beauty of life radiates so brilliantly that even humans stop and take notice”. “From Photosynthesis to Oxidative Phosphorylation, living organisms are pumping out ATP like an interstellar nebula throwing off cosmic radiation”. 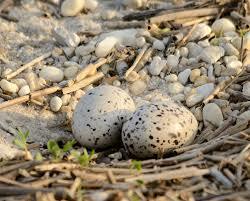 Osprey eggs are considered one of the most beautiful of all bird eggs. There is no contest among the other raptors. They have long been admired for their unusual coloring. 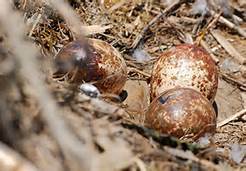 Most osprey eggs have a brownish mottled coloring. and some have a white to cream-colored background covered with dots. Here we see swirls as dark mahogany. This particular clutch is very cinnamon. Clutch-mates tend to have some artistic consistency, but there is enough variation that one wants to admire each entire clutch as an avian work of art. The stunning beauty of osprey clutches was not lost on the old naturalists. 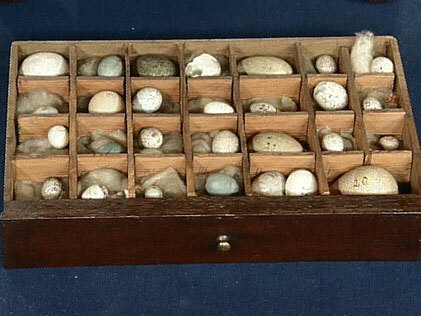 In the 19th Century the hobby of egg-collecting, was very popular. 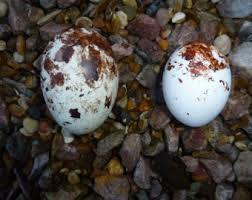 Osprey egg-collecting played a major role in the population decline in the 19th and 20th centuries. 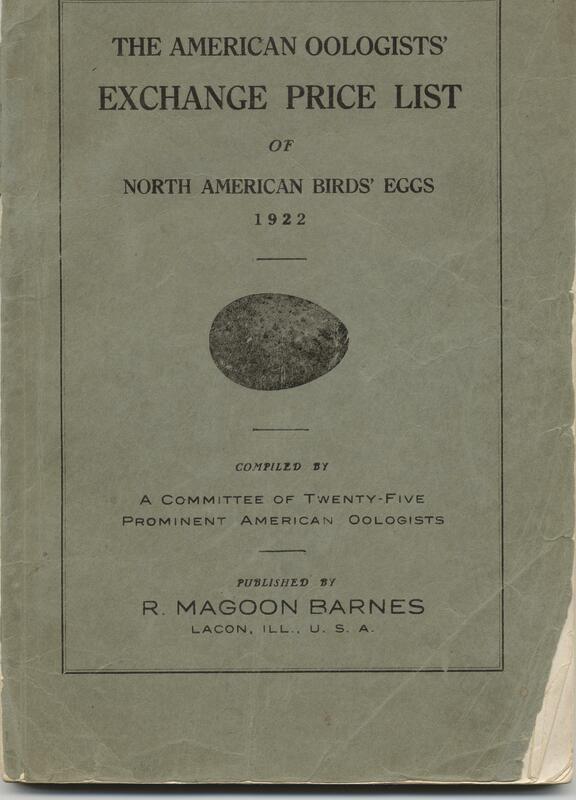 There was even a little journal devoted to it, “The Oologist”. Even now in some regions osprey populations remain low, even as the osprey population is starting to rebound. 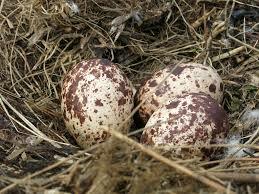 There are still museum cases full of old Osprey eggs in Europe. Some are well preserved in these curio, throwback collections. How many eggs do you see ? “I thought I felt another egg coming to day, but maybe it is just my imagination. Ozzie has been anxious all day. I do not mind saying that this first egg is real beauty. It is far and away the prettiest egg I have ever laid”. Perhaps my hopes are unrealistic, but I was thinking about 3 eggs this year. Ozzie is acting strange. He has not brought me a fish today. I hope he is not mad at me; why should he be?